Everyone knows sleep is important. After a long day, your body craves sleep whether you mentally want to or not. In fact, go long enough without it and our bodies would fall asleep on their own. For children, though, sleep plays an interesting role in their development. It doesn’t just rejuvenate them for another day like you or I. Sleep plays a key role in their growth. In our bodies, the pituitary gland secrets the Human Growth Hormone, a substance that, quite literally, helps the body grow. Its production is influenced by many factors, such as stress, nutrition and exercise. In growing bodies, however, HGH is affected by sleep. HGH is most intensely released shortly after children fall into their deep sleep. That means they do the most growing while they are asleep. That means without proper sleep, a child’s growth can actually be stunted. Improper sleep can consist of keeping a child awake when their bodies want to sleep, or a sleep obstruction problem like sleep apnea. If a child severely lacks HGH, they can even suffer from lung and heart problems, as these organs may not grow fast enough to keep up with their bodies. It’s unlikely that a lack of sleep could cause this much damage, but little sleep combined with an underlying condition could create a serious problem. Other hormones can be affected by a lack of sleep as well. Hormones that regulate appetite can be affected, causing your child to overeat or prefer high-calorie foods. Lack of sleep can affect the way a child’s body handles the food it receives by triggering insulin resistance (which is a threat for diabetes). You can tell your child needs more sleep by evaluating their mood and behavior. If they’re frequently cranky, irritable and lethargic, they might need a few more hours at night or an extra nap during the day. Lack of sleep over a long term can affect your child’s grades in school, their performance in extra-curricular activities, and even make permanent changes to their disposition and personality. Ensure your child is getting enough sleep by setting a bedtime and nap routine appropriate for their age and adjusting it as you see fit. A consistent routine will help their bodies adjust so they know when sleep is coming. Make sure your child’s sleeping space is conducive to sleep without any distractions. Most importantly, keep an eye out for signs of sleep deprivation. It does more damage than you think. Guest Blog by Joanna von Yurt, Co-Founder and CEO of Swanling Innovations Inc.
One of the best feelings as a parent is finally getting your child to fall asleep in their own bed. However, throughout the night, they may wake up and find themselves wandering outside of the bedroom to seek comfort and safety. While it’s ok to help them out sometimes, the ultimate goal is to get your child to sleep through the night in their own bed and room. Here are some tips to encourage this good habit for them. A reward system can go a long way when it comes to children. Children love to be rewarded for their accomplishments (don’t we all), but if this gets them to sleep the night through it’s definitely worth trying. Let your child know that if they can get through the entire week without getting out of bed at night, they have some sort of prize coming their way. Create a chart or calendar so they can visualize their progress. After a couple weeks of this practice, your child will become accustomed to it and won’t need to be rewarded for their good behavior. The best way to be absolutely sure that your child won’t leave their bed at night is simply by ensuring they won’t wake up! If you can manage to get your child tired enough to the point that they can sleep the whole night through, this will certainly help in keeping them in their own bed. Create a sleep routine for your kids that will both tire them out and prepare them for an entire night of rest to help make this happen. Another great way to get your child to stay in their own bed each night is to make simple compromises with them. For example, you can tell them that you will stay in the room/bed with them until they are able to fall asleep. Once they fall asleep however, they have to remain in bed until morning. Or another option is the use of a nightlight for your child. Most all children love to see a nightlight and this allows for a reasonable compromise between parent and child. Making a compromise will make them feel like they can trust you and at least have your comforting presence until they fall asleep. It also gives them a sense of control over the situation since they are technically choosing to stay in bed. Practice makes perfect! Even if your child ends up making their way to your room in the middle of the night, you should stand your ground. Walk them back to their own bed and stay with them until they can fall back to sleep. Eventually, your child will have to learn to do this on its own in order to learn! 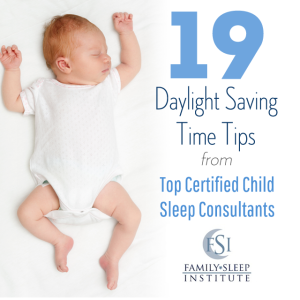 Purchasing special products to help your child sleep through the night is another option you can try. There are many of safe, natural remedies that will produce calming effects on your child before bedtime. As a parent, we talk a lot about baby sleep. We analyze our children’s sleep schedules, judge their needs and bend over backwards to help them get the sleep they need. But what about moms? There have definitely been some mornings for me where I laid in bed, looking up at the ceiling, wishing I could have just fifteen more minutes of sleep. I’m sure I’m not alone. Motherhood is a grueling experience for new parents. Amidst the lovey tender feelings is certainly some stress and anxiety. So how does a mom go about getting the rest she needs? There will always be chores to perform and errands to run, but your priorities should be your baby’s health and your own. When baby sleeps, you should sleep. Even if you aren’t particularly tired, lie down and close your eyes for a few minutes. Get the rest when you can. Everyone as a limit; a point of which they can do no more. Recognize yours and stop volunteering to help when you’ve come to it. For example, don’t volunteer to attend your child’s school field trip if the thought of a long day with hours on a bus makes you anxious. It’s funny that when we’re the most exhausted we’ve ever been (right after birth), we also want to interact with our little one as much as possible. Take advantage of the hospital staff and let them tend to your baby for a night or two while you recuperate. You’ll have plenty of time to bond. When grandma wants to visit for a couple hours, say yes! Even if you don’t feel tired or stressed, let her come over and mind the baby for a bit. Rather than use the time to recover your inner calm, use it to prevent stress and exhaustion. Plus, you might have plenty of people who would enjoy the experience. If you’re tired, tell someone! There’s no need to carry a burden by yourself if others are willing. Talk to the people in your life, especially your spouse. Let them know that the stress is starting to accumulate and you’re worried about its effect on your health. In fact, carrying for a child while you are sleep deprived is dangerous. You could make a terrible mistake. You aren’t a bad mom just because you need some time to yourself – you’re just human. Just like you or I, a child can’t switch from moments of high activity to sleep without some transition. To help them get into sleep mode, you should create a predictable routine that you perform just before bed. The sooner you establish a bedtime routine, the happier (and healthier) your whole family will be. Over time, your child will begin to show signs of drowsiness when you begin the routine. The details of the routine will change a bit as your child grows, and routines vary between families, but the basics will remain. Here’s how you can set a bedtime routine. I’m sure you’ve noticed that if you fall asleep at ten one evening, you’re sleepy the next night at the same time. Children are the same. Their bodies adjust to the schedules they keep. Exploit this so they follow a regular pattern and fall asleep without protest. Naturally, the most important part of a bedtime routine is consistency. Once you find one that works, stick to it at all costs. Once you set the path, not only do children conform to it, they eventually prefer it. The bedtime procedure should stay the same all through the week, even on weekends. If your family visits Grandma for the holidays, maintain the routine as best you can at her house. Separation from you can be hard on many children. It’s helpful to create a transitional object that stands as a substitute for mom or dad when it’s time to go to sleep. This helps them cope with the anxiety of your absence. This object is often a stuffed animal with a personalized name. Create a space that welcomes comfort and sleep. Keep distractions out of this room if possible. Play should happen in another room so your child doesn’t subconsciously associate the bedroom with activity and energy. Most importantly, your child should sleep in this place consistently so he or she becomes used to it. Offer a Light Snack – If meal time was a while back, offer something with carbohydrates and protein. The carbs induce sleepiness and the protein maintains blood sugar until the next meal. Give a Warning – At a young age, your child won’t understand “ten minutes to bedtime,” but it helps build an association that the day is winding down. This will give them some time to mentally prepare themselves for the change. Play Calmly – After-dinner play shouldn’t involve a lot of movement or activity. Play calmly with toys in a seated position. Keep your voice low and the lights dim. Ritual Grooming – Go through the typical end-of-day tasks that anyone else would: brushing teeth and gums, washing hands and face, change of diaper/use potty, etc. Dress for Bed – Choose non-binding, comfortable clothes. Let your child choose so they feel a sense of “ownership” over the process. Read a Storybook – Stories are the perfect activity just before bedtime because everyone is still, sitting comfortably in bed, and your voice will lull your child to sleep. Say Goodnight Briefly – Say goodnight, tell your child you love him or her and then exit the room. Don’t rush back in at the first noise (unless of course you believe you hear distress). Babies sleep a lot as infants. It’s essential that parents understand the dangers and how they can prevent their children from harm while sleeping. As a nurse and baby sleep expert, I’ve been helping families get the rest they need for years. Here are some tips on baby sleep safety. Make sure that you always place baby on his/her back when you are putting your little one down for the night or for a daytime nap. This is the best sleep position for babies because babies who are placed to sleep on their stomachs are at a higher risk for SIDS. The reason for this is uncertain but there have been findings that suggest that infants who sleep on their stomachs get less oxygen or re-breathe their own carbon monoxide, or “bad air”. It is important to keep putting baby down on his back throughout the first year of life. Having a baby monitor in the room with your baby allows parents to keep an eye or ear on their baby from another room. Monitors give you the ability to listen to your baby and check on them without disturbing their sleep. They help you to identify whether or not baby needs your attention and can provide parents with reassurance that baby is sleeping safe and sound. It’s important to keep cribs empty of all items such as pillows, blankets, bumper pads and stuffed animals. All of these items pose suffocation hazards to babies. Any loose fabric or soft cushions can unravel and block baby’s nose and mouth. Fighting for air or becoming overheated from too many blankets may be linked to SIDS. Swaddling can be very beneficial for baby as it mimics touch and recreates the confinement felt in the womb. It also helps maintain the “back is best” sleep position and promotes good sleeping patterns. However, traditional swaddling blankets pose the risk of wrapping babies too tightly and reducing necessary movement in the hips causing hip dysplasia. Thick blankets or too many layers can cause overheating, and strong babies can break out of traditional swaddling blankets which can unravel and cover baby’s face. Choose a safer option like the Woombie, a baby swaddle that requires no wrapping and is designed to gently hug baby while allowing for natural movement. The Woombie Air is a breathable swaddle that allows for excess body heat to escape making it the first ventilated swaddle. There is a debate over whether co-sleeping is beneficial to babies, and there are pros and cons for each side. The argument for co-sleeping is that children who sleep next to their parents tend to have better emotional health later on in life. They tend to be happier, less anxious, and have higher self-esteem. Some parents believe that leaving baby alone to cry itself to sleep results in stress, which can make baby more prone to illness. Parents who believe in co-sleeping find that baby falls asleep faster and sleeps better overall. On the other side of the debate, parents argue that co-sleeping is risky for babies as there is an increased chance of overheating and a risk of suffocation if a parent accidentally rolls onto the baby. They believe that an infant sleeps better on his own as constant bed movement can disturb a baby who is co-sleeping. They also argue that co-sleeping does not leave parents with sufficient time to themselves to wind down for the night and does not allow for intimate alone time for parents. For parents who do decide to take the co-sleeping route, make sure your mattress is firm with tightly fitted sheets and keep your pillow away from the baby. Keep the bed away from side tables and make sure there is no gaps baby can fall into. The best position for baby is on the side of mom instead of in the center of the bed. Consider buying a larger size bed so everyone has more space and can get a better night’s sleep. No children are the same. All babies experience teething in different ways. Teething symptoms can range in variety and intensity; some last for a few days and never both your child, while others can last for months as whole groups of teeth come through. The symptoms can appear as much as a couple months before you ever see a tooth. Here are the signs that baby is teething. Often the gum pain is present, but distractions are enough to keep your baby’s mind off of it. When it’s time to go to sleep, however, there’s nothing to do but think about the pain, so your baby will struggle falling asleep. You’ll find yourself crib-side more often as you soothe him to sleep. 2. Gnawing on toys, you, and everything! Pressure on the affected area is the quickest way for your baby to gain relief. When he presses on the part that hurts, his brain is overloading with pressure signals and can’t process the original pain. You’ll notice him gnawing at his toys, crib, and even your fingers. Offer a teething toy or a cold washrag for him to chew on. You will notice your baby’s clothes are suddenly damp all the time. This is because his mouth is creating a build-up of saliva to lubricate the gums. To avoid chapped skin, you will want to gently wipe your baby’s face throughout the day. If it’s becoming a problem, attach a bib. Pooled saliva may cause a slight wet cough. While some babies experience teething easily, others can suffer pain. You may find that your baby is crying more often and more easily than before. Things that would frustrate him but not bring him to tears are suddenly too much for him. If the pain seems unbearable, speak with your doctor about what kind (if any) pain relief you can offer. The sucking motion can worsen the pain your baby is experiencing. To avoid the pain, he may refuse to eat, or eat/nurse briefly before turning away. Keep offering the food. Usually this problem doesn’t persist and your baby will eat. If he has refused to eat for two full days, speak with your doctor. A simple teething toy (ideally one made of silicone) is usually enough to give your baby some relief. Some can even be stored in the fridge and utilize the numbing properties of cold. As a mother of two, Julie found she was continuously retrieving dropped pacifiers, because even though they spit them out, they still want them immediately! She called it “the pacifier game,” and, at times, it was difficult to play. One day, she thought, ‘I wish somebody would invent a …’ A what? What could make it so babies can keep up with their pacifiers? Clips help parents keep up with pacifiers, but they don’t help the baby. Babies don’t understand when it’s behind their shoulder or around their side. As they say, out of sight, out of mind. She started by making the first prototype in her kitchen (which included melting molding plastic, an instruction manual for her sewing machine, and YouTube videos). Several designs later, the PullyPalz were born… The first ever pacifier toy that – with the help of baby’s interaction – keeps pacis coming back! Her goal is to offer unique products that make life and parenthood just a little easier, and ultimately more enjoyable. Compatible products (teethers and toys) will be coming to market soon. Julie also offers product development and consultation services for other aspiring entrepreneurs. For more information, visit www.pullypalz.com.